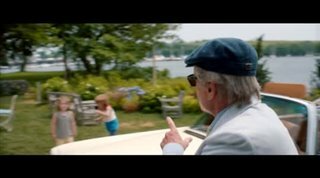 Real estate agent Oren Little (Michael Douglas) isn’t great at making friends. His wife’s death and his estranged son, Luke, a recovering drug addict, have left him embittered and irascible. 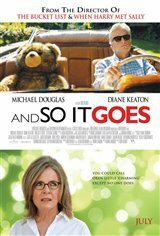 When Luke drops off a granddaughter Oren never knew he had, it’s going to take the help of his caring neighbor, aspiring lounge singer Leah (Diane Keaton), to help the grumpy granddad find his heart and accept love back into his life. "We need to have more comedy movies. I enjoyed watching Michael Douglas and Dianne Keaton it was a little slow at times but steel good." "Great movie. People can love and been kind again when the right people come into their lives after tragedy." "Good cast but felt quite slow. Acting was a bit goofy at times. Lots of seniors in the audience."